Bilbao is the new modern face of the Basque Country. The city has been able to successfully mix traditional Basque culture with a new vision for the future. It is an absolute must for design and culture lovers. We also love that Bilbao is surrounded by green hills and is within close proximity to the coast. Bilbao is the beating heart of the Basque Country and its largest city. It is the most cosmopolitan of the cities in the region and is constantly evolving. Bilbao ballooned in population during industrialization and prospered through steel production, shipping, ship building and banking. However, by the 1970’s the city had developed into a gray smokestack and a serious economic crisis had arrived. A new plan was devised and Bilbao started its journey of rebirth. Old industrial complexes along the river Nervión were torn down and new projects to improve infrastructure and the overall growth of the city were started. Bilbao now boasts having the Guggenheim Museum designed by architect Frank Gehry, a timeless Metro system designed by Sir Norman Foster, an airport from Spanish architect Santiago Calatrava and a community center (Alhondiga) designed by Philippe Starck. The list goes on and on. Today, Bilbao is sophisticated and humming with action. But at the same time is relatively stress-free. It is a great city to check out and it has a lot to offer visitors. Whatever you are looking for, whether it’s savory Basque cuisine, Basque culture, shopping, nightlife, etc., you will find it here. CLICK HERE TO SEE MORE OF THE BEST HOTELS IN BILBAO! We have put together a hand selected list of the most important things to do and see in Bilbao. Everything from eating pintxos in the Old Town to visiting the Guggenheim Museum – if it deals with Bilbao tourism, we’ve got you covered. The Guggenheim Museum is without a doubt the main attraction of Bilbao. Designed by star architect Frank Gehry, the museum opened to the public in 1997 and has since been hailed by both the public and critics as one of the most important structures of contemporary architecture. The building is wrapped in titanium panels that create what appears to be random organic curves. These panels were designed to capture light. For this reason, the building takes on a different appearance at night as the city lights reflect off it. Also, when viewed from the river, it resembles a ship (albeit abstract) and the panels are reminiscent of fish scales. Both of these attributes pay homage to the fact that the river was historically the economic hub of Bilbao. In the square in front of the museum, stands an enormous sculpture of a dog made entirely from living flowers designed by the artist Jeff Koons. This sculpture was originally brought for the inauguration of the museum as a temporary exhibition. However, the Bilbainos liked it so much that it became a permanent sculpture in front of the Guggenheim. Today, “Puppy,” as it is affectionately called by the locals, is the mascot of the city and the Bilbainos will proudly tell you that the building behind the dog is just the house they built for their beloved pet. The original seven streets of Bilbao. The Casco Viejo of Bilbao is also locally known as “las 7 calles” in Spanish or “Zazpi Kaleak” in Basque (the seven streets), since these were the seven streets that formed the original medieval town. Today, it is still the heart of the city and probably its most colorful neighborhood. The beautiful narrow streets are mostly pedestrian-only and are packed to the brim with taverns offering tasty pintxos. If you are visiting Bilbao, you should definitely take your time to get lost in its Old Town. When you are in the Casco Viejo, don’t forget to check out the St. James Cathedral and the Plaza Nueva where you can try some of the city’s best pintxos. If culture and history of the Basques is what you are after then a trip to the Basque Museum might be in order. Another building that is worth taking a look at is the Bidebarrieta Municipal Library. Next to the bridge linking the Casco Viejo with the Ensanche neighborhood, stands Bilbao’s oldest theater, Teatro Arriaga. It was named after the Basque composer Juan Crisóstomo Arriaga, known as the “Spanish Mozart,” who died at the age of 19. The Arriaga Theater was built between 1886 and 1890 by the architect Joaquín Rucoba in neo-baroque style. At the time, it was equipped with the newest technologies and was considered one of the most important theaters of Spain. After a fire in 1914, the theater was re-inaugurated in 1919 and continued being a first-class theater for many years thereafter. Although the theater was completely renovated in the 80s, its interior still contains some original furniture and carpets. The Arriaga Theater is still used today, however, much of the city’s theatrical life has been shifted to the more recently built Euskalduna Palace. The part of Bilbao called “El Ensanche” (the expansion) is comprised of the area across the river from the Casco Viejo and the Arriaga Theater. Originally an independent town called Abando, it was annexed to the city in 1870. El Ensanche is the business center and most cosmopolitan area of the city. There are lots of shops, restaurants and bars. It is also home to many of the city’s bourgeoisie. The wide boulevard that crosses the Ensanche neighborhood is called Gran Vía Don Diego López de Haro, commonly known simply as the Gran Vía. It is the commercial and business center of the city and contains some of the most important residential, commercial and institutional buildings of Bilbao. It begins near the Casco Viejo at Plaza Circular and moves westward past Plaza de Federico Moyua towards the Bellas Artes Museum and the Doña Casilda de Iurrizar Park. Art-deco building & source of local gastronomy. The market of Bilbao is located southern corner of the Old Town, right next to the river. With its 10,000 m2 (107,640 sq ft), it is the largest indoor market of Europe. There has been a market in this same location since the 14th century, however, the building that we see today was built in 1929 by the architect Pedro Ispizua. The art deco Market La Ribera was very modern for its time. It is characterized by its open interior space and its abundance of natural light that pours through its over-sized stained glass windows. If you enjoy the local cuisine, you should definitely visit the La Ribera Market, where you will discover all the fresh ingredients that are so important in the Basque gastronomy. Right next to the market, you will find the San Antón church and bridge. Wine warehouse converted into a cultural space. The Alhóndiga is one of the city’s most iconic buildings. What was once Bilbao’s wine warehouse, is today a cultural and leisure space with a wide variety of offerings: exhibitions, concerts, lectures, cinema, children’s workshops, gym, swimming pool, library, a place to have a coffee or eat lunch, etc and etc. The Alhóndiga’s 43,000 m2 were used as the city’s wine warehouse until the 1970’s, when a new warehouse was built and the Alhóndiga was abandoned. It remained in a state of decay until a plan was settled on in the late 90’s. The French designer, Philippe Starck, took on the task of designing every detail of the complex. Today, only the façade of the original early 20th century building remains. This original exterior is contrasted with an entirely new interior space, which exemplifies the new modern face of Bilbao. Highlights of the building include its 43 columns, each of them with their own unique design, and a glass bottom pool that is viewable from the ground floor. Impressive collection of medieval art. The Bellas Artes Museum, while currently hiding in the shadow of the Guggenheim, is one of the finest museums in all of Spain. It houses an impressive collection of over 10,000 pieces of art, ranging from the 13th century to the present. The collection contains Spanish, Flemish, Italian and Dutch works in addition to an ample selection of work by local Basque artists. The Bellas Artes Museum is located in a corner of the Doña Casilda Park, in the Abando neighborhood. The original Fine Arts Museum combined with the Modern Art Museum in 1945. In that year, the “old” building of the current museum was constructed, featuring a neoclassic style. Over the years the collection outgrew the building and in 1970 the construction of the “new” building was finished. This newer modern building was influenced by the architecture from Mies van der Rohe and contrasts with the “old” building, creating an interesting mixture. From the outside, the Campos Eliseos Theater looks as though it would be better placed in southern Spain or even in a middle eastern country. However, the theater, which opened its doors in 1902, was designed by a local architect named Alfredo Acebal in cooperation with the French decorator Jean Batiste Darroguy. The prominent arch on the facade seems to be of moorish influence but upon further inspection, this exterior that was so richly decorated by Batiste, is very much art nouveau in style. Needless to say, this unique building is considered to be an important architecture reference from the Basque Country. The first initial years of the theater were very successful. But the second half of the 20th century wasn’t so kind to the Campos Eliseos Theater. An attack by ETA in 1978 destroyed part of the interior. Afterwards the theater was plagued by a string of bad management. These problems forced the theater to close down on multiple occasions and saw the building deteriorate over the years. Finally in 1991, the City Hall of Bilbao acquired the theater and the rehabilitation works started. The front facade was renovated in 1997 and its interior some years later. The rehabilitation works finished in 2010, when the theater was re-inaugurated. Today, it is the most technically advanced theater in Spain and is also home to an artistic and technological training center. Since September 2017, the company KLEMARK runs and operates the productions and events of the theater. The metro from the future. The beautiful metro system of Bilbao was designed by architect Sir Norman Foster. Built mainly from concrete, steel and glass, the metro appears rather futuristic. It is even more remarkable when you consider that its construction started in 1988! The metro is accessed from rounded glass structures called “fosteritos,” named after the architect. Even if you can go without taking the underground while you are in Bilbao, it might be worth it just to take a ride anyway to check it out. Or use the metro to take a small excursion outside of the city to the town of Gexto to see the Puente Colgante (“hanging bridge”), the only monument in the Basque Country that is a Unesco World Heritage Site. * Guided visits to the metro are offered. Although these visits are geared towards school classes or groups interested in the technical aspects, any group of at least 8 people is welcomed. It is necessary to book in advance, filling this form. Inaugurated in 1997 and designed by the famous Spanish architect Santiago Calatrava, this modern bridge, together with the Guggenheim Museum, became the symbol of the “new” Bilbao. As its name indicates, the bridge is white (“zubi” means bridge and “zuri” white in Basque) and features a glass floor. It is characterized by its curvature, which together with the arch, creates a beautiful and interesting structure. Unfortunately, the Zubizuri Bridge has been involved in multiple controversies. The first controversy occurred when the local government decided to add a platform at one end of the bridge to facilitate the direct access to some important buildings. The decision did not set well with the architect at all since it changed the appearance of his design. Calatrava sued the government over the change to his plan and eventually won the case. But there was a second and more serious problem. With the rain – and Bilbao is known for having its fair share – the glass floor got extremely slippery and people were falling on the bridge. The situation was so bad that the government had to finally solve it by rolling out a carpet over the entire bridge, thus hiding the beautiful glass floor and the lights that lit the bridge up at night. Although the bridge is not the same with the carpet covering the glass floor, at least it is now safe to cross. And, if it weren’t for these anecdotes, you would probably never remember it. The most important virgin in Bilbao. The Basilica of Begoña is located in one of the hills that overlooks the Old Town of Bilbao. Although its construction started in 1511, it wasn’t until a century later when it was finally finished. The Renaissance facade from the Basilica of Begoña features an impressive triumphal arch in the main entrance. Inside there is a neoclassical altarpiece that is the other main highlight of the building. The Virgin of Begoña is, without a doubt, the most important virgin in Bilbao. To get a better idea, the Bilbainos commonly call her “Amatxo,” which means mom in Basque. There are several festivals centered around the Virgin of Begoña throughout the year, such as floral offerings given during the Aste Nagusia Festival, but her main festivities are the 15th of August and the 11th of October. There are two options to get to the Basilica of Begoña. The first one is using the stairs located right next to the Unamuno exit of the metro stop “Casco Viejo,” which are called Mallona Stairs. The second possibility is to take the elevator located inside of the metro stop of “Casco Viejo” (entering from Unamuno). The use of the elevator is included in the price of the metro ticket (1.50 €, only 0.80 € with Barik Card). The stairs end right were the elevator stops. From there, there are signs indicating the direction to the Virgen de Begoña Street, which once you reach, can be followed for approximately 10 minutes until arriving to the church. The lookout of Artxanda offers the best views of the city of Bilbao. From there, you can see the Old Town, the Guggenheim Museum, the Iberdrola tower and all the hills that surround the city. Looking down from this point, it is easy to understand why the Bilbainos call their city the “botxo” (hole). Although it is possible to walk or drive to the lookout of Artxanda, the easiest way to get there by is taking the funicular which is located at the Funicular Square, where the streets Castaños and Mugica y Butrón meet, very close to the Zubizuri bridge. At the lookout point there is a small park which is a perfect place to go for a stroll and just get out of the hustle and bustle of the city for a while. Inside the park, you will find two sculptures. One of them is a massive gear from the original structure of the funicular. The other sculpture is a huge fingerprint called “Huella Dactilar” and designed by Juan José Novella in honor to the victims of the Spanish Civil War. The sculpture was placed in the park because the funicular station was bombarded during that war on the 18th of July, 1938. One standard trip costs 1 €. Inaugurated in 1999, this modern building is the city’s new cultural center, replacing the Arriaga Theater as the main location for theater and concerts. The building was conceived as a ship in constant renovation, emerging from a dike where previously the famous and prosperous Euskalduna Shipyard was located. It was designed by the renowned Spanish architects Federico Soriano and Dolores Palacios to house a 2,000 person concert hall in addition to smaller galleries and a roof-top restaurant called Eneko Bilbao. The main train station of Bilbao is called Abando Indalecio Prieto, but is known by the locals as Estación del norte (“North station”). It was built around 1870 and features a front façade in monumental and classical style. Inside the building, you will find the station’s most beautiful feature – stained glass that depicts scenes of traditional Basque life as well as famous places of the surrounding area. It is comprised of 301 pieces and measures 15 m (50 ft) wide by 10 m (34 ft) high. The Abando Train Station is located in the heart of the city, at the Plaza Circular (“Circular Square”), right where the Gran Vía and the Hurtado de Amezaga streets meet. Be careful not to confuse this station with the one situated next to it that is located directly on the river, called Estación de La Concordia or Estación Santander. Built in modernist style in 1902, the Estación la Concordia is considered one of the most important buildings of the Belle Époque of Bilbao. The Town Hall of Bilbao dates back to 1892 and is located right next to the river. Joaquín Rucoba was municipal architect at the time who responsible for the project. He is the same architect who also designed the Arriaga Theater and the Alhóndiga. The Town Hall of Bilbao was fashioned in an eclectic style, combining a mixture of influences, such as the second French Republic and the neo-renaissance. At the foot of the town hall there is a monumental sculpture from one of the Basque Country’s most important artists, Jorge Oteiza. Entitled “Variante Ovoide,” this 8 m tall abstract sculpture is actually a reproduction of a much smaller original sculpture that was a study of “emptiness” that the artist created in 1958. We have hand selected a few great hotels in Bilbao, Spain. However, if you want to see a complete listing of all available hotels, be sure to use the search function below. Located in Bilbao’s old town, the Basque Boutique offers stylish, air-conditioned rooms with free Wi-Fi. Each room is individually decorated with unique, hand-made furnishings and artistic finishes inspired by Basque culture. This boutique hotel is located in front of the Guggenheim Museum and only a 5 minute walk away from Bilbao’s old town. It was created by the fashion designer Antonio Miró and offers minimalist style rooms with free Wi-Fi, 32-inch flat-screen TV, DVD and MP3 player. The Arriaga Suites are located in the old town of Bilbao, just 150 m from the cathedral as well as numerous shops, restaurants and pintxo bars. The spacious studios feature colorful modern design and offer flat-screen TV, free Wi-Fi, microwave and fridge. With its markets, concerts, festivals & much more, Bilbao is definitely a city full of action and cultural activities. Check out the sunday markets and if you visit at the end of August, don’t miss out in the action at the Aste Nagusia Festival. Bilbao is also home to several markets. The most traditional one is probably the weekly sunday market at the Plaza Nueva, in the old town. During the market, the square is filled with artisans and bohemian types selling crafts. Here, you will find collectable items, such as stamps and coins, as well as antiques. It is also the place where local parents and children meet for trading cards and various other collections. Throughout the year, there are also many festivities celebrated in Bilbao, the most important of them being Aste Nagusia (Big Week Festival). Bilbao’s biggest festival is celebrated every year at the end of August. During Aste Nagusia, the whole city parties for 9 intense days and Basque heritage and culture is celebrated. There are activities for everyone: concerts, traditional Basque dance and music, exhibitions of rural sports, bullfights, fireworks competitions, activities for children and many more. High quality food in the Basque Country is the status quo and Bilbao is no different, offering a large selection of bars and restaurants to choose from. The largest concentration of bars serving pintxos can be found in the old town, although there are also a lot of them in the Abando and Indautxu neighborhoods. The txikiteo is similar to a pub crawl, except instead of the focus being solely on drinking, delicious pintxos are thrown into the mix. The idea is to go to one bar after the next sampling pintxos and having something to drink. This is usually done by groups of friends and is most popular on Friday and Saturday nights. Once you arrive in Bilbao it is very easy to navigate by foot, metro, tram or bus. An interested option for saving on public transportation is the Barik Card. It can save you up to 50% compared to buying single tickets. The Barik Card is available at all metro and tram stations. From Bilbao to the airport: one bus every 30 minutes from 05:25 am to 9:55 pm. From the airport to Bilbao: one bus every 30 minutes from 06:15 am to 11:15 pm. 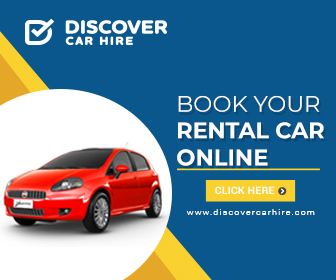 CAR – A rental car is really great to have in the Basque Country. It makes for access to some parts of the region such as San Juan de Gaztelugatxe and to the sagardotegis (traditional basque restaurants in the countryside) much easier. The city of Bilbao can however, be a pain to navigate with a car since there are many one-way streets. If your hotel doesn’t provide parking, it is best to go directly to a parking garage and leave the car there during your stay. Bilbao is located of the road A-8 (AP-8). This is a toll road between Bilbao and Irun. The toll road AP-68 connects Bilbao with the east and south of Spain, going all the way to Zaragoza. The road A-1 or AP-1 connects Bilbao with Madrid in under 4 hours. The drive from Barcelona to Bilbao is about 5 hours and 30 min. BUS – The bus station of Bilbao is called Termibus and is located next to the football stadium San Mamés and the underground, tram and train stops with the same name. From it, there are multiple daily connections to Madrid, Barcelona, San Sebastian, Vitoria-Gasteiz & Pamplona. There are also connections to the various villages and towns of the region. TRAIN – The main train station of Bilbao is called Abando Indalecio Prieto, but is known by the locals as Estación del norte (“North station”). It is located in the center of the city, at the Plaza Circular (“Circular Square”), right where the Gran Vía and the Hurtado de Amezaga streets meet. From there, there are daily connections to Paris, Madrid & Barcelona. Spain's national train service is RENFE and France's is SNCF. There is also the Basque train called EuskoTren, which runs pretty frequently, offers lovely views of the countryside and is cheap. However, the downside is that it is quite slow. Trips take on average twice as long as by bus or car.